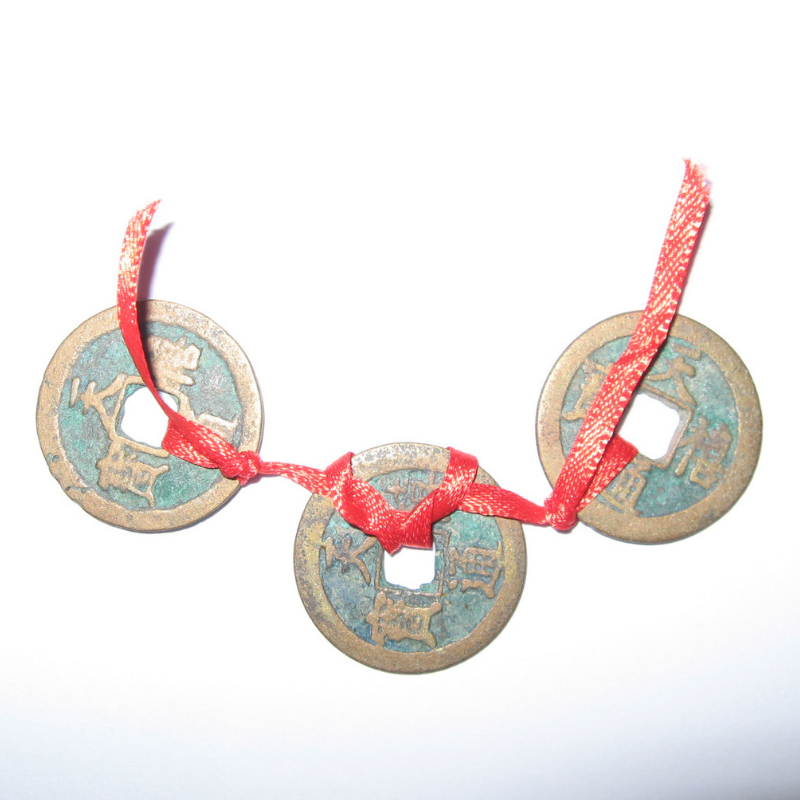 The Genuine Lucky Fortune Gift includes 3 Genuine Ancient Chinese Coins (approximately 1 inch each real Chinese coins - Brass about 1000 year old hand pressed round Chinese Coins with square hole in center) hand tied together on red ribbon, and one lucky Chinese red envelope. 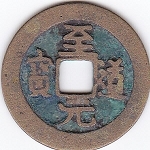 For generations these Chinese coins have been in people's hands, people's pockets, used to fulfill people's dreams. 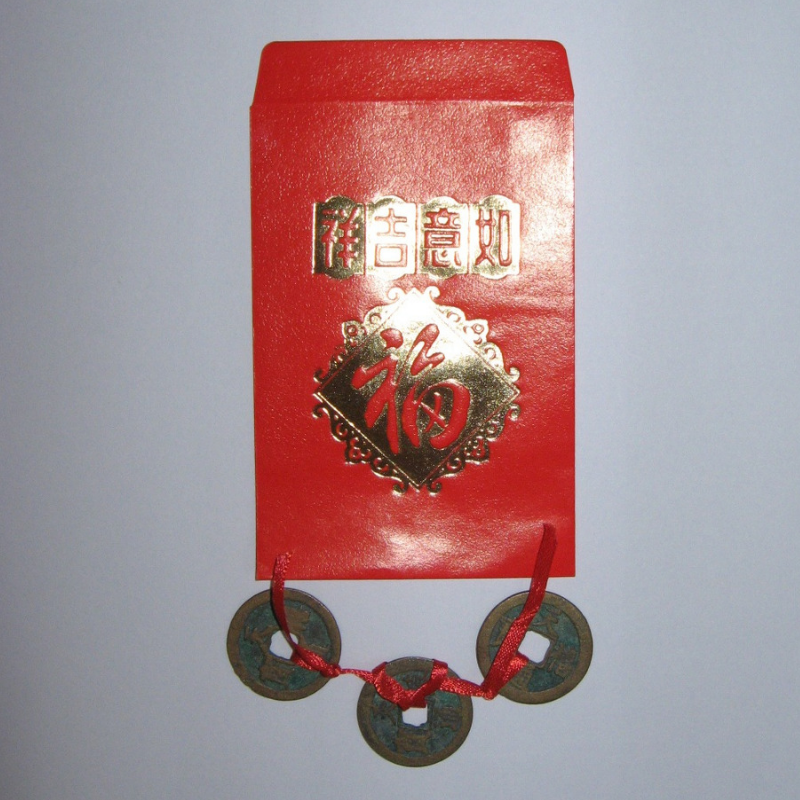 This ancient money will give you the strength of generations of wealth energy. 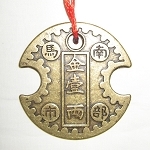 Three Chinese coins are used because, in Feng Shui, three coins symbolize your money always being replenished. 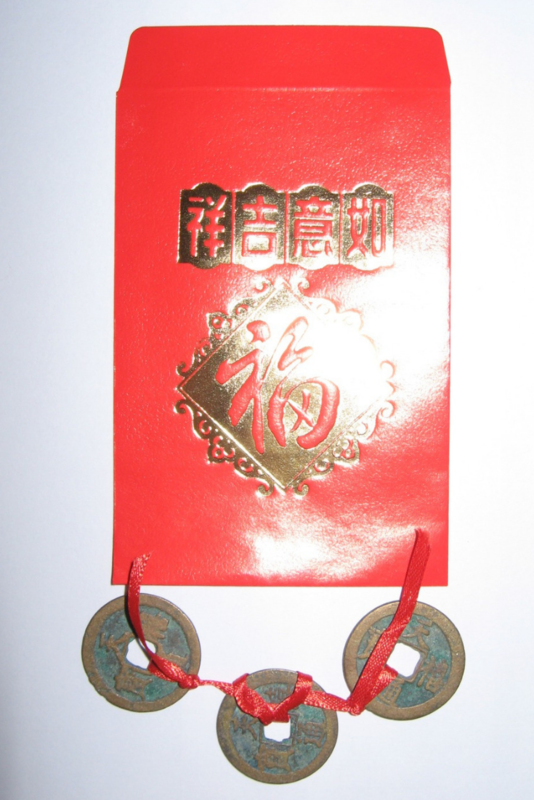 Great for increasing wealth by placing inside wallet, purse, handbag, checkbook, cash box, cash register, safe, dresser drawer, desk, under doormat etc. 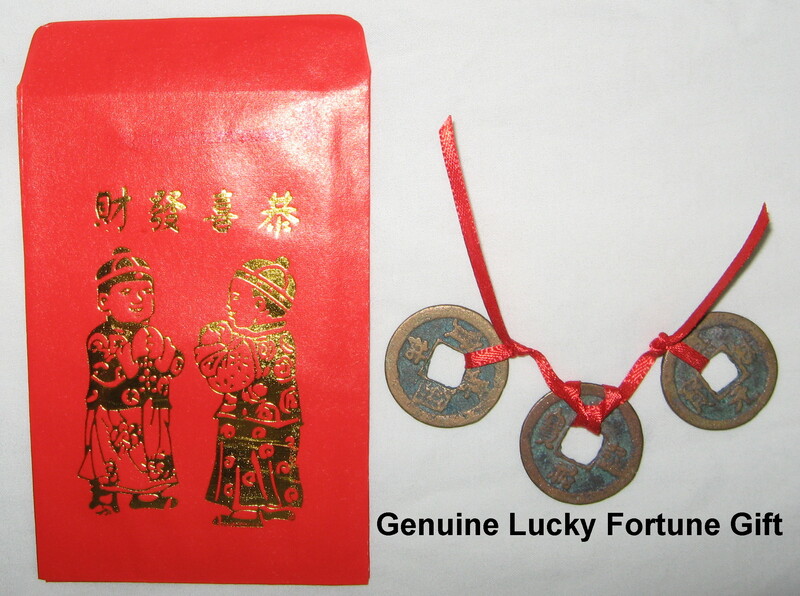 Lucky Fortune Gifts are called Hong Bao in Mandarin, Ang Pao in Hokkien and Lai See in Cantonese. 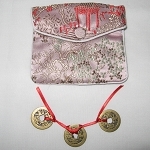 Traditional Chinese gift for Birthdays, Chinese New Year, Weddings or any occasion. Exclusive to Zen Appeal!